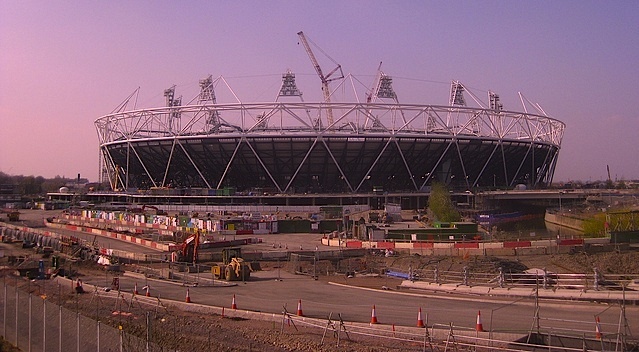 Leyton Join Olympic Stadium Race, But Has Boris Already Decided On Tenants? M@ Leyton Join Olympic Stadium Race, But Has Boris Already Decided On Tenants? "We will rent it, which will cover the running costs, to a football club – which may very well be...in fact will be....West Ham." So says Boris Johnson, the man who will decide...has decided, it seems...the anchor tenants for the Olympic stadium after 2012. "Why should anyone now bid?" asks Leyton Orient chairman Barry Hearn, "the Mayor has made his mind up." Contrary to his own reservations, though, Hearn has submitted an application that would see Leyton move into the stadium come 2014. The O's are the nearest team to the Olympic Park and any larger club moving into the stadium could pose a threat to Orient's survival. Such sporting hegemony seemed likely until last week, when a joint bid by West Ham and Newham Council to buy the stadium collapsed. The arena will now remain in public hands, to be rented out to a successful bidder. For an Orient application to be realistic, the ground would have to be scaled back to 25,000 seats while retaining the running track. The latter must be guaranteed until at least 2017, to accommodate the World Athletics Championships, should London's bid be successful. Hearn also questions the legitimacy of West Ham's bid to rent the stadium. He points out that permission for West Ham to shift grounds was originally approved by the Premier League and not the Football League, in which the relegated side now play. Hearn believes that the Football League would not countenance a move that would jeopardise the business of another member club (i.e. Leyton Orient). West Ham responded by saying they'd "applied in accordance with the rules and regulations and have been granted permission to move to the Olympic Stadium." Which is no doubt true, but doesn't address Hearn's assertion that the granted permission may no longer be valid. The key quote, however, remains the one at the top of this post. If the Mayor has already sided with the Hammers' application, other bids seem little more than pretty bubbles in the air. Besides, the West Ham claret and blue would go so well with the Orbit tower.